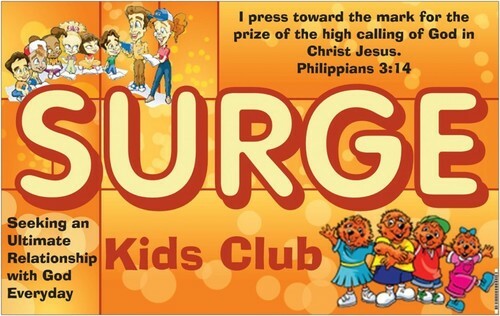 We are so excited that you have decided to sign up your child for our Wednesday Night Surge program! This program is specifically designed for children ages 4 (as of Septemeber 1st) through 12th grade. Click on the "Learn More" button below for further details. If you have multiple children registered or need financial assistance, please contact me!